Senile Team is one of the premier independent studios currently developing games for the Dreamcast. With an impressive portfolio comprising such well-known and critically acclaimed titles as Rush Rush Rally Racing and the ever-popular Beats of Rage, Senile Team has already claimed its seat at the top table. With this in mind, we though it was about time that we got together with one of Senile Team's main men Roel van Mastbergen to find out a little bit more about the history of the outfit, their influences and get some details on the brand new platform adventure heading to PC and Dreamcast very soon - Intrepid Izzy. 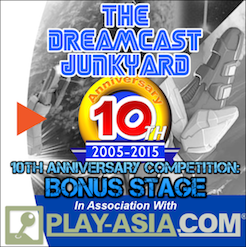 DCJY: Hello Roel, thanks very much for agreeing to talk to The Dreamcast Junkyard! 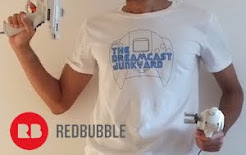 We’re big fans of your output on the Dreamcast. Could you tell all those people who may not be familiar a little bit about yourself and the history of Senile Team? Roel van Mastbergen: Hi Tom, thanks for inviting me to this interview. I’m Roel van Mastbergen, designer, artist and programmer for Senile Team. Senile Team is a small indie developer (currently made up of four people) originally founded in 2003, when we created Beats of Rage. This beat ‘em up based on Streets of Rage proved very popular, and we decided to keep making games, especially for the Dreamcast. 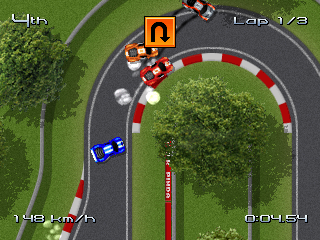 Our next release was the Micro Machines-inspired Rush Rush Rally Racing, of which we recently did an updated re-release - Rush Rush Rally Reloaded which we also brought to the Nintendo Wii a few years ago. It’s very interesting that you mention Beats of Rage - I’m pretty sure that most Dreamcast owners are familiar with it, but possibly don’t know that Senile Team is responsible for the original engine. 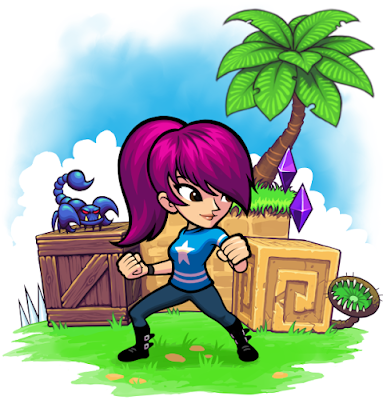 Before we get to Beats of Rage though, one thing I have to ask - where does the studio's name ‘Senile Team’ actually come from? You don't strike me as being particularly old or decrepit. Much. Well, back in the day we used to communicate via a mailing list. When creating the mailing list, I found that most names that actually made sense were already taken, so I sort of randomly picked the name 'Senile.' When we completed Beats of Rage, we decided to stick to it. We felt it made sense in a way, because we'd just made an old school game. 'Old' and 'senile' go hand in hand, after all! Haha! I guess that makes sense. 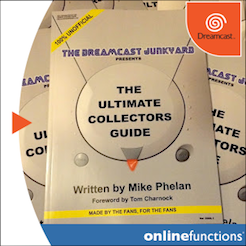 It’s interesting, I’m sure you get asked a lot about the origins of the name - certainly for me I get asked a lot why The Dreamcast Junkyard is called ‘Junkyard.’ That’s actually because back when I started the blog in 2005, my room in the shared house I lived in was tiny and full of Dreamcast stuff...and my housemates jokingly called it ‘a Dreamcast junkyard,' and the name was born! However, this isn’t about us - it’s about you. So, who makes up the Senile Team family apart from your good self? Like several other Dreamcast developers, our team's primary members are brothers. My two younger brothers Jeroen and he-who-wishes-to-remain-anonymous (aka Albatross) were also involved in the creation of Beats of Rage, and later we were joined by Ben Boahene who made the music and soundtrack for Rush Rush Rally Racing. Ah right, so the four of you all started working together to create some fantastic games. Makes sense. Four heads are better than one! So, Beats of Rage then. How and why did that whole genre-defining bunch of awesome come about? We were big fans of the Streets of Rage series, but it seemed less and less likely to us that SEGA would ever treat us to a 4th installment. Also, even if they did, it probably wouldn’t be the same, because 2D was 'outdated' at that time. 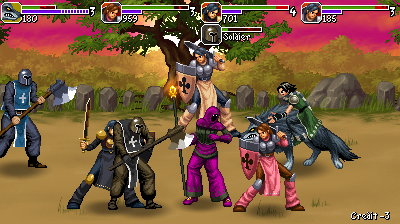 So one day I decided to start working on my own sequel/tribute, and when my brothers noticed how well it was coming together, they quickly joined in to help. Jeroen designed the level layouts, and Albatross animated the intro and ending sequences. When we felt that it was done, we made it available for download, and 2-3 days later our server went down from too much traffic! Wow. 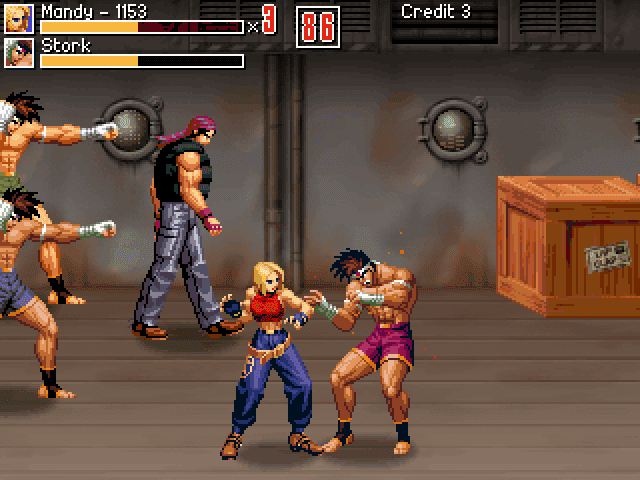 Beats of Rage could easily be described as something of a phenomenon as far as indie releases go. Did you ever envision how many different versions of the game would come out, and how much the modding scene would embrace your engine? I've seen some utterly spectacular Beats of Rage variants, surely you couldn't have anticipated how deep the rabbit hole would go? No, it seems we underestimated the impact of our creation every step of the way. 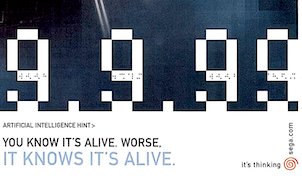 We actually expected only a handful people to find and try our game, and we certainly didn’t expect that it would still be relevant so many years later. Be honest now Roel - are you secretly hoping the phone will ring and it’ll be SEGA asking for your help to design a Streets of Rage 4, in the same way Christian Whitehead was brought in to work on Sonic Mania? I said be honest. I’m sure they’d be interested. I'll hook you up. 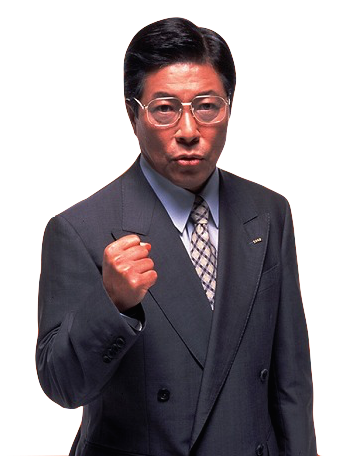 With someone who knows someone who's uncle works at SEGA. 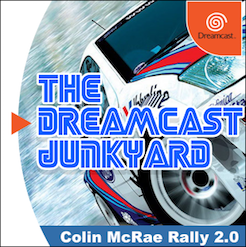 Moving on slightly, your next major release for the Dreamcast was Rush Rush Rally Racing in 2009. 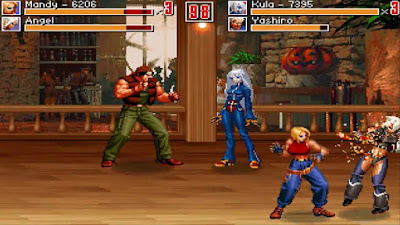 The game garnered some extremely favourable reviews, and was hailed as one of the best multiplayer games on the Dreamcast. Can you talk a little bit about the origins of that game and how it came to be? Sure! 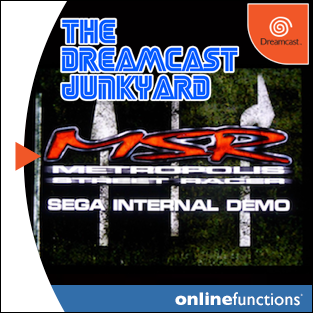 It started out as an entry for a Dreamcast coding competition, and it was supposed to be quite small - say 1 level, 1 car. But just when it started to look good, the coding competition was cancelled. We didn’t want to throw away what we had then, so we decided to develop the game further, making it into something worth publishing. I’m really glad you did. I only played it for the first time about a year ago when I bought it at an event I was actually an exhibitor at. I saw it for a fairly decent price at a retailer stall and snapped it up, and then I put it on one of our display Dreamcasts and it was a real crowd pleaser! Are you suprised that a game you created has become such a sought after title? Well, after the success of Beats of Rage, a little less surprised - but it’s still exciting to see people’s positive reactions. And I still don’t just assume everyone will like the games we make - I think I’ll be just as nervous every time we announce a new game. You did recently announce a new game, but before we get to that, I had another question about Rush Rush Rally Racing. It’s a top down racer that reminds many who play it of Micro Machines (as you mentioned earlier) - was it always the intention to replicate that kind of game? And what other titles do you cite as influences - if any? Micro Machines was a major influence, and we did intend to capture the same 'feel' to a certain extent. But we didn’t want to make a clone. We also mixed in many of our own ideas, as well as some influence from SEGA Rally Championship '95 and a Neo-Geo racer called Thrash Rally. It also reminds me of Super Skidmarks too for some reason, even though it's not really played from the same viewpoint. Maybe it's the sense of humour which really appeals to me too. However, let's bring this right up to date. You have a new game in the works and a damn fine game it looks too. It's called Intrepid Izzy. Can you tell us a bit more about this new title? Thanks Tom! Intrepid Izzy has a history already, as it is actually built on an earlier project, which was built on another, which was built on another…! A couple years ago we had the thought that it might be fun to make a runner, but as we were working on it we found that runners weren’t really our cup of tea after all. So the engine was expanded to a full platform engine. The game still didn’t really come together though, and we focused on other things for a while. Then one day I had the crazy idea of using the engine to make a birthday present for a friend of mine. I made some sketches and found that I could capture her likeness fairly well in a high-definition sprite. This game progressed quite well and turned out much better than our earlier attempts. 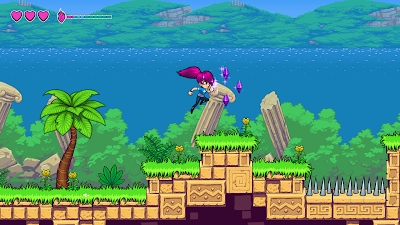 So the next step was to design a new, original character (Izzy) and use what was learned to make a full-fledged game. 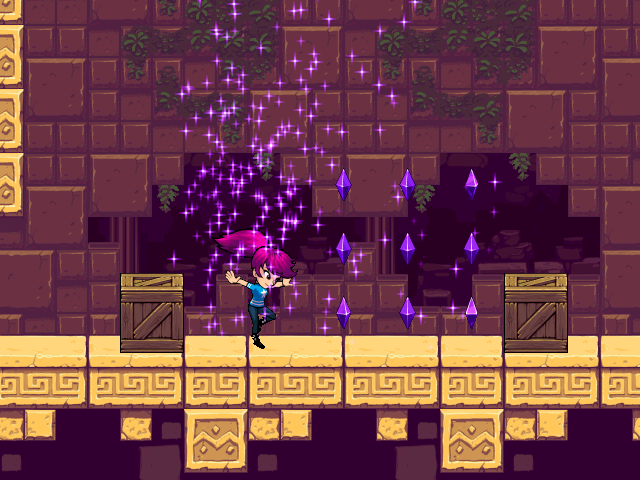 It's pretty cool that you made a game for your friend as a birthday present. Most of my friends throw bricks through my window when its my birthday. I must ask though Roel - was one of the aborted games you mention the fabled Age of the Beast? No, this engine was created specifically for platform games. Age of the Beast has its own engine, and we never experienced any dissatisfaction with Age of the Beast's playability either. The reason that Age of the Beast still hasn't seen a release is mostly financial - we estimate that it would cost about 3-4 times as much to develop as Intrepid Izzy has. Thanks for being honest about that, I know a lot of people were (and still are) excited for Age of the Beast. However, Intrepid Izzy is far from unimpressive from what we have been treated to so far. The game is something of a technical marvel, running on the Dreamcast at a stable 60fps and with similar detail levels to the PC version. 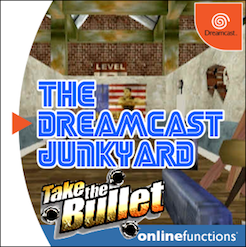 Have you encountered any real challenges developing the game and how does the Dreamcast hold up today as a viable platform to develop for? You are quite right. 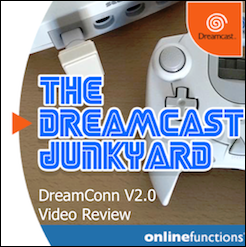 Game development always comes with challenges, but the Dreamcast's hardware was not one in this particular instance. I've been writing code for it for years now, and even though I initially focused on PC, I'm so used to optimising for the DC now that when I first tried to run Intrepid Izzy on it, it was already working almost perfectly! Only a few more optimisations were needed to make the frame rate stable. 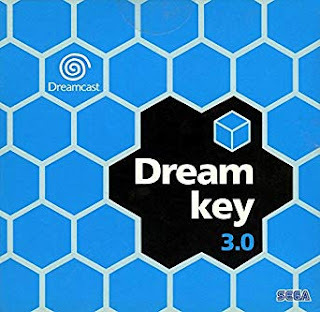 So in my opinion, the Dreamcast is still a pretty good piece of hardware, although its user base might not be large enough to make it a viable platform from a financial point of view. But making games is a labour of love for us anyway. You've kind of answered my next question already which was going to be: why make games for the Dreamcast over current gen systems? For you, do you feel some sentimental attachment to the system? And does the Dreamcast community have any influence in that if so? It seems everyone who's still into Dreamcast gaming feels something special for SEGA's last console. But there are other reasons to develop for it as well. 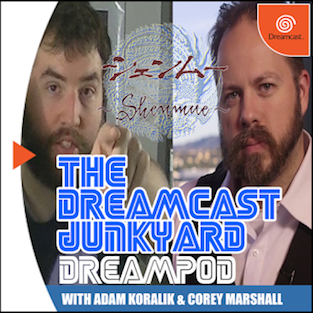 Unlike current gen systems, anyone can develop Dreamcast games. You don't need a development kit, licensing, age ratings or any of that other stuff. So the entry threshold is extremely low. And I agree that the community is fantastic! 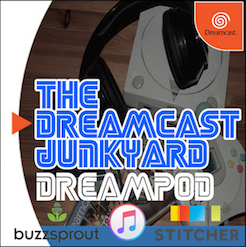 It really is, the community around the Dreamcast feels almost like a tight knit club at times and we at the Junkyard are extremely proud to be a part of it. I wondered if you keep an eye on other independent developers or the games they produce for the Dreamcast? Have you played other indie games and are there any you’re looking forward to? I do keep an eye on them, and more than that. 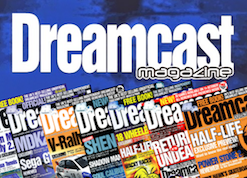 I've been involved in several other Dreamcast developers' projects as a tester and as an illustrator. I think I've played most indie DC games, though not all of them. The games made by NG:DEV.Team always struck me as having high standards. Too bad they seem to have left the scene. Currently I'm especially looking forward to SLaVE. I've already had the pleasure of playing it some time ago, and it's pretty addictive. That's great to hear - I'm really looking forward to that one myself! At this point in the previous interviews we've done, it was a custom to ask the interviewee if they knew the identity of the mysterious Dreamcast Barber...but since we've already found him, allow me to pose this question to you. Do you have any idea of the identity of the mysterious woman who tells us not to put Dreamcast discs in our CD players?! The first thing that springs to mind: "her name is Egg Monroe." Bonus points to anyone who knows where I got that from! Aha! The game is afoot! Roel, it's been an absolute pleasure speaking with you, thanks for taking the time and we look forward to Intrepid Izzy with baited breath! Once again, thanks to Roel van Mastbergen from Senile Team for taking the time to answer my questions. 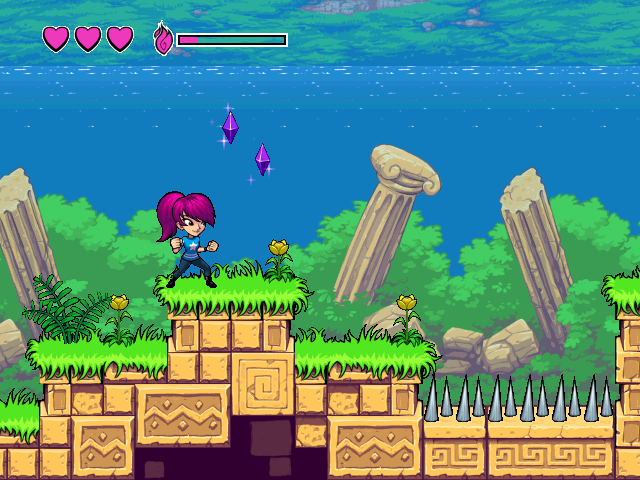 You can keep up to speed with the development of brand new platformer Intrepid Izzy by visiting the official Intrepid Izzy site here; and also familiarise yourself with Senile Team's other games by visiting the main site here. You can also follow them on Twitter and Facebook. 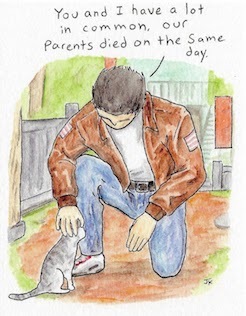 Oh, and you can find more of Roel's non-gaming work at his personal site here. Tom , thanks for a great interview. 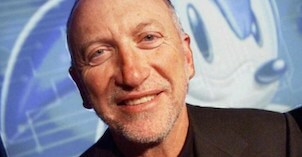 Roel and brothers , thank you very much for developing great titles for the Dreamcast.